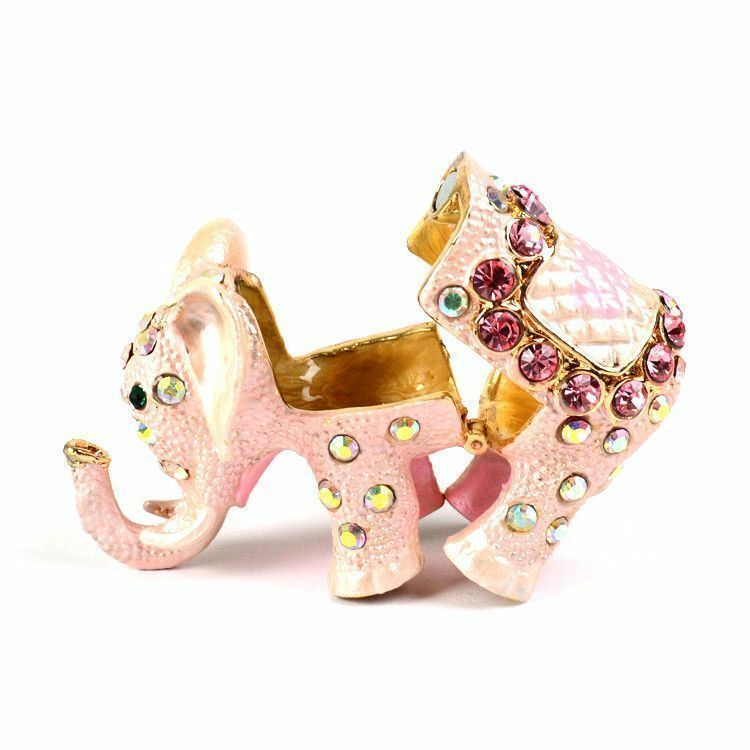 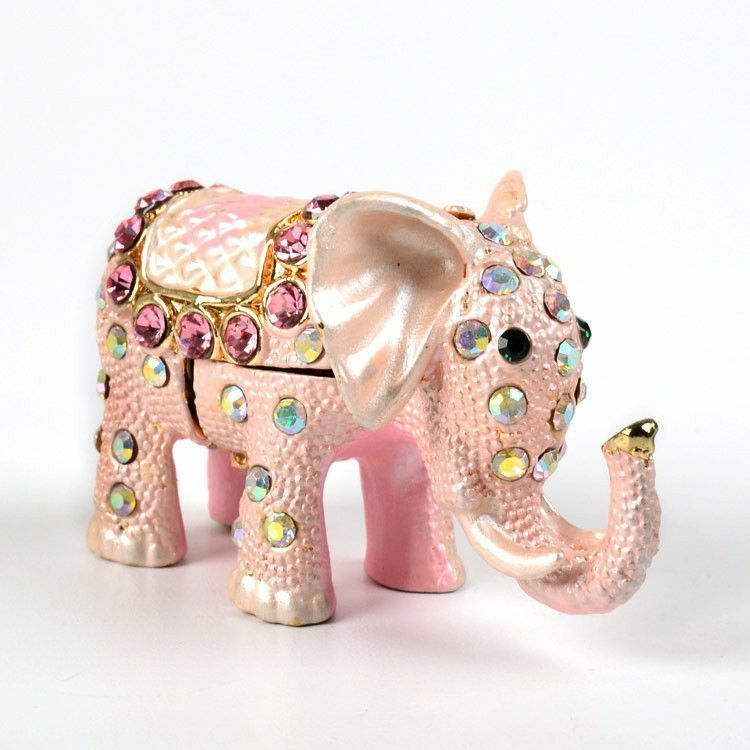 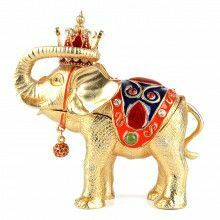 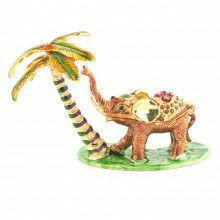 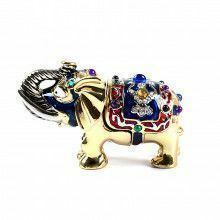 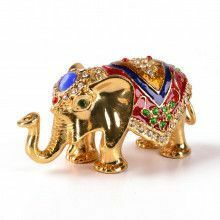 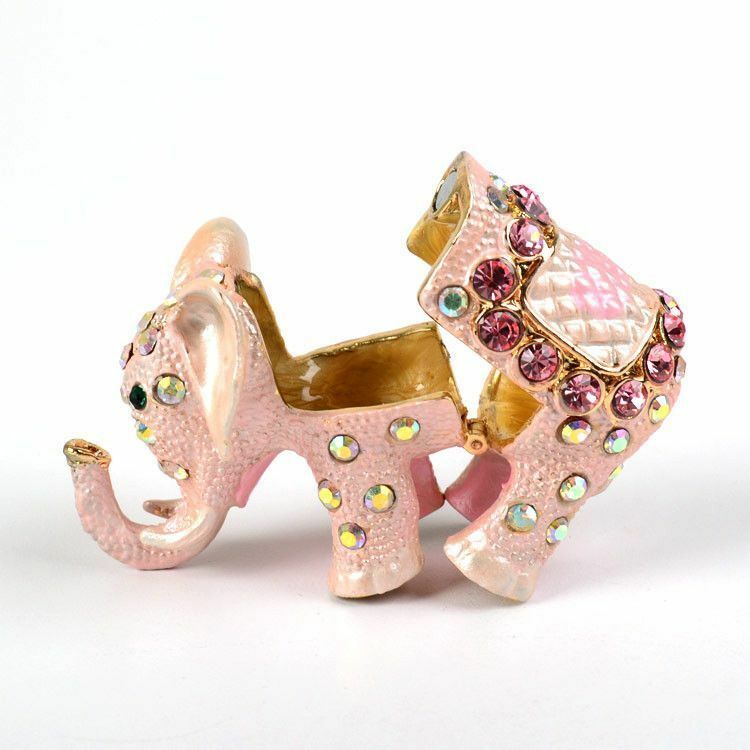 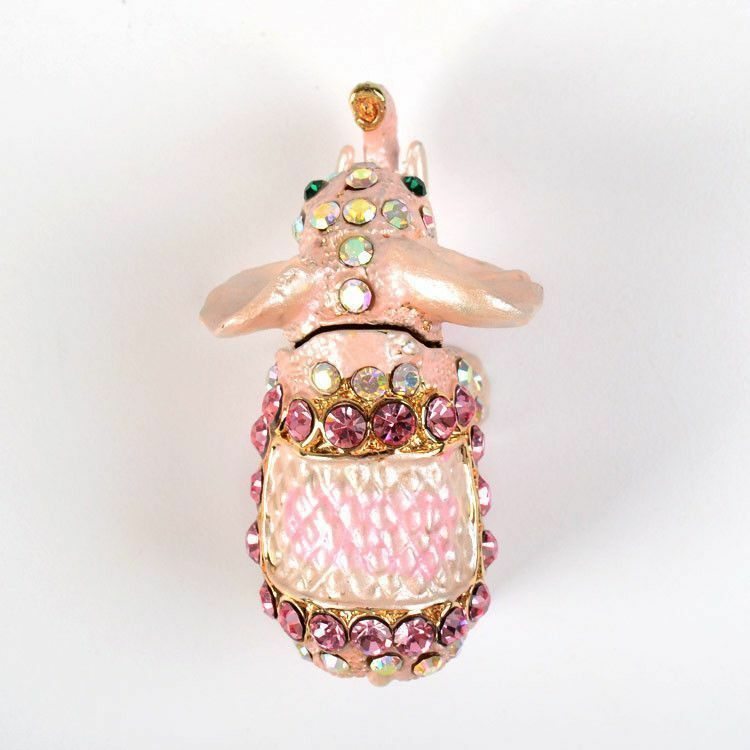 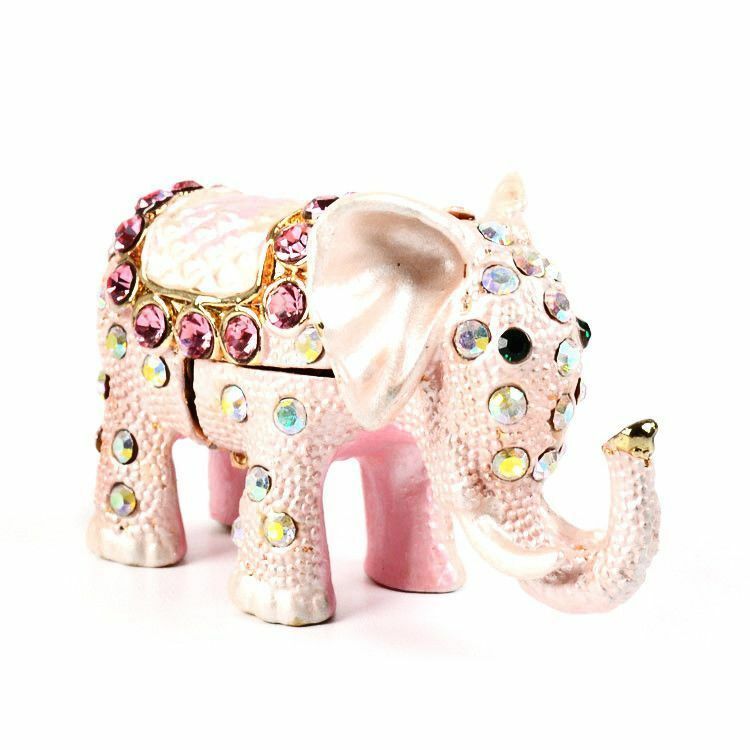 Awe, what a cute little pink elephant, featuring sparkling Austrian crystals in various sizes and colors. 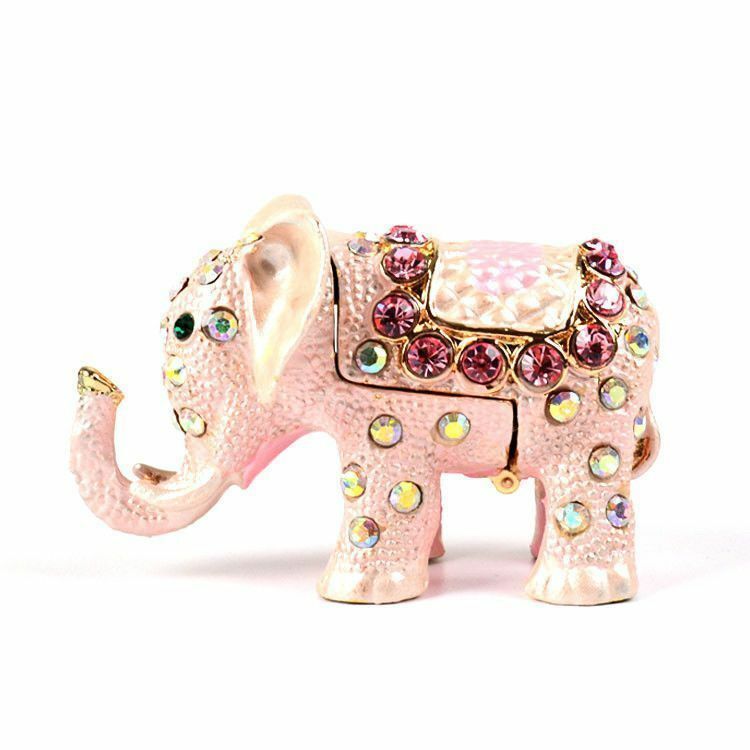 This little lucky elephant opens up to reveal a small area for tiny things. 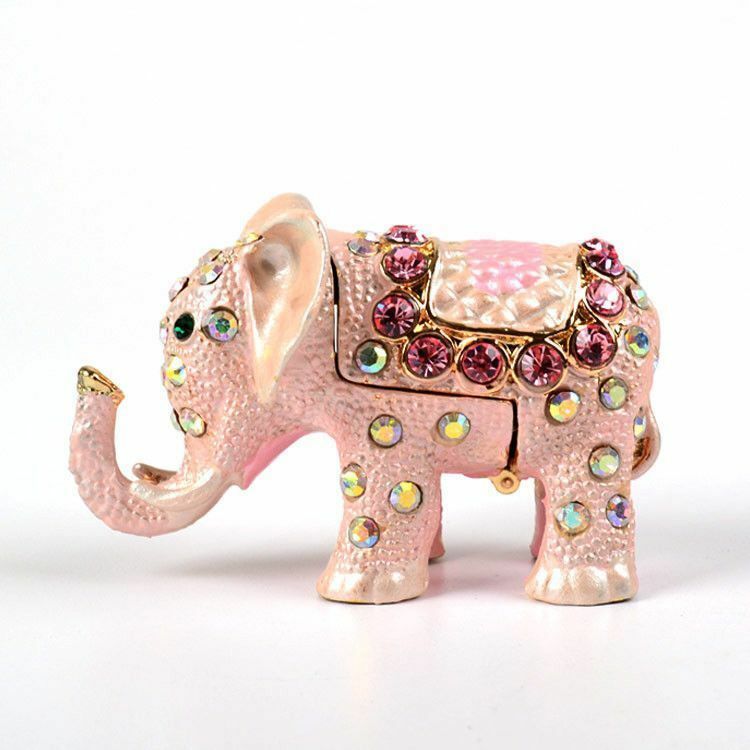 The size of this animal box is Approximately 2 1/2" L x 1 1/4" W x 1 3/4" H.